Rachel Dolezal is an academic, chair of the Office of Police Ombudsman Commission in the Washington city of Spokane and president of the city’s chapter of African American civil rights organisation the NAACP. Dolezal, professor of Africana Studies at Eastern Washington University, where she specialises in Black Studies and African American culture, has regularly spoken out on local media about racial justice. But this week, in a recorded interview with the local Spokane news channel KREM 2 News, the Dolezals said their daughter’s biological heritage was not African American, but German and Czech, with traces of Native American ancestry. Ruthanne and Larry Dolezal said their daughter had black adopted siblings, and attended school in Mississippi where her social circle had been primarily African American, later marrying and subsequently divorcing an African American man. Her parents claim that, post-divorce in 2004, her daughter began to adapt her appearance. “Rachel has wanted to be somebody she’s not. She’s chosen not to just be herself but to represent herself as an African American woman or a biracial person. And that’s simply not true,” Mrs Dolezal said. In the news video, the Dolezals displayed pictures of their daughter as a blonde child, and also at her wedding several years ago. The couple later provided a copy of their daughter’s birth certificate to the Spokesman-Review newspaper. Dolezal has since told local media that she is not in touch with the Dolezals because of an ongoing lawsuit, and does not view them as her real parents. The 37-year-old told the Spokesman Review on Thursday she would prioritise speaking to her executive committee before commenting on speculation in the media. “I feel like I owe my executive committee a conversation,” she said, adding the subject was a “multi-layered issue”. A statement from Spokane City Hall said Dolezal had listed her ethnicity as a mix of white, black and American Indian, as well as a number of others, in an application to the Office of Police Ombudsman Commission. James Wilburn, former president of the Spokane NAACP chapter, told the CDA press that Dolezal’s race was not what had qualified her for the position in the organisation. “It is traditional to have a person of colour in that position, but that hasn’t always been the case in Spokane,” Wilburn said. A woman of European descent was president in the 1990s, he added, and half of the chapter members were not black. “That is probably a result of the fact that only 1.9% of the population in Spokane is African American,” he said. In Dolezal’s numerous writings on civil rights issues, she does not discuss her own ethnicity in detail, but in several pieces she uses idioms such as “our cultural memory” when speaking about African American history. Dolezal had also posted a Facebook photo with an older African American man, whom she describes in the caption as her father, but described by the CDA press as Albert Wilkerson, a volunteer at the organisation where Dolezal was previously employed, the Human Rights Education Institute in north Idaho. 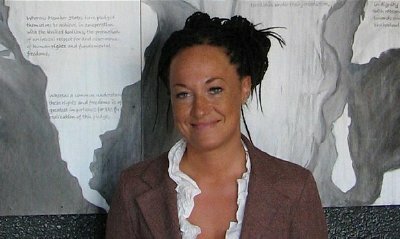 In an interview about her portrait art with magazine the Easterner, Dolezal described a traumatic upbringing, where her parents would “punish us by skin complexion”. She also described being raised in a teepee and hunting food with a bow and arrow. Her parents now say they had indeed lived in a teepee, but before their daughter was born. The NAACP president has been a regular face at local demonstrations and on TV channels, and has made the news on numerous occasions for the graphic hate mail she received, including nooses left at her home.